Paul Keating hit the nail on the head. He has always had a way of doing that. He said recently that no recent government has had a ‘narrative’. In other words, governments – or oppositions for that matter – cannot sell a vision of what they want to achieve. They can’t do it at either the macro or the micro level. Looking at educational change, the main message seems to be “we won” from the government. We long ago lost interest. Bored with hearing in minute detail how much each school will get out of Gonski 2. 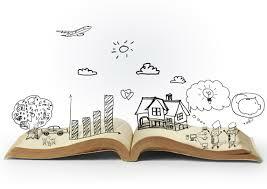 We are blasted with sectional views but nobody in government has the creative vision to talk about how changing the educational mix will make us a better society. Try this. “What we should aim for is that our children are provided with an education to the limits of their ability. Not just educated to a level to finish school, but to the limits of their ability. Why? We are living in an era where jobs require knowledge. Companies need employees who have a solid educational background, and are prepared to learn as the industry evolves. The foundations for that learning come at school. 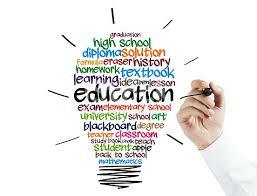 Slip off the educational ladder in the first years of school, and you might never get back on that ladder. Not only does that result in a job below the person’s potential, it means they earn less, contribute less tax to the country, and are more reliant on government support. We all know, or happen to be, the kid who slipped behind and never fulfilled their potential. That person can become angry, frustrated and disruptive. They will possibly drop out of school because the train is moving too fast for them. Intervention to help them get back on the train and catch up with everyone else can have life changing results. I think the lack of creative thinking in selling politics is the inability to step back and look at a situation from another direction. Forget our assumptions, and learned values. What does this situation look like to a complete outsider. Take this example. An alien comes to earth and sees a parked car. What is it? An outdoor seating area on four rubber legs? Some sort of entertainment unit with four seats facing a small video screen? An exercise machine people push about? Sometimes the only way to understand something is to pull It apart. Walk around the problem and come at it from the other side. 180 degree thinking. If politicians were good at this, social changes would be much easier. The following examples are a mix of current political issues. We worry about driverless cars. How will they be insured? Who will be liable in an accident? Let’s apply some reverse thinking. What if all cars were driverless. From the day Mr Benz motored down the road, we had been able to employ robotics to drive them. Now, in 2017, someone comes up with the idea that people should control the cars. We would hear the same objections we have about microchips. In the end, we would probably not let people drive because the accident rate from human error would be far worse than that of computer error. If we reverse the problem, we can start to think about different perspectives. The criteria isn’t to make a car perfectly safe. The criteria is about which will have the least accidents – you or the computer. Are we far from the point where the machine wins? Another relates to the current “top of the pops” – house prices. Again, use some reverse thinking. Imagine negative gearing and capital gains concessions did not exist. It leads us to two questions. Firstly, would house prices be as high as they are now? Probably not. There is an argument that there would not have been as much building of new houses. In reality, the figures tell us most negatively geared properties are existing houses, which weakens that argument. Secondly what would be the benefit of introducing negative gearing tax minimisation measures now? How would it help first home buyers or even the economy? It would mean the government would give up a chunk of tax collection from investors. How could any government justify that idea? When we approach negative gearing from the reverse direction, the foolishness of such a tax becomes evident. The year is 2017. There is a federal government and local councils. No states. The federal government collects all the taxes and allocates money to local councils to look after roads, rubbish removal, parks and facilities. The councils are service delivery centres for federal government. Someone comes up with the idea of creating states which are in fact, super councils. An enquiry is held. You are asked to appear and give your reason as to why states should exist. 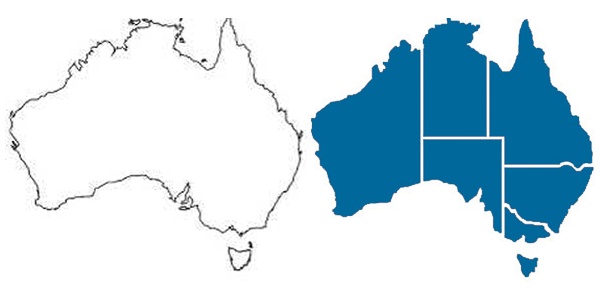 Take a pencil, and write down five reasons why states should be created and how Australia will benefit. After that, write down how boundaries for states should be drawn. By the time you have completed that exercise it will probably be Christmas – and maybe not this Christmas. States do exist, but it is hazy as to what value they add. They are there for historical reasons that more relate to power plays a century ago rather than the world today. All we hear are arguments as to how much they get from the commonwealth. Who is responsible for what? Why have them at all? We can use creative thinking at the micro level too. Look at alternative energy. The two most popular are wind and solar. What do we need to disassemble, and reassemble differently? We need alternative energy sources to be in a location that is sunny or windy. We need to plug into the power grid. Where could we put them so both criteria are met? How about on the top of power poles? Sitting 10 metres off the ground, and right above power lines. 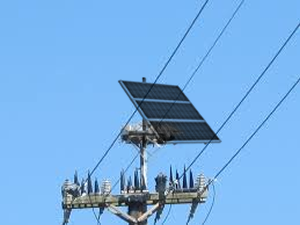 Surely someone can come up with a wind generator or solar panel you could attach to the top of a power pole and connect via some electronics to the power line. Maybe even sling a battery from the pole to store energy. It all comes down to cost efficiency. Rather than the ten minute interview, or the standard press conference, perhaps it would be better to give an hour or half an hour for a politician to tell us their vision. Sit back and listen and then decide if it makes sense. Where is the creative thinking in politics? Then, maybe my vision is not relevant in the world today. I concur with the sentiment expressed and endorse the paper. Since Paul Keating our political landscape has been barren. We continue to run our country as a business not a society. Whilst ever this is the case then its all about “whats in it for me” and bugger anyone else.